Integumentary System—will cover issues in the 10000 section of the surgery section including excision of lesions, wound repairs, skin replacement surgery, and breast procedures. In this presentation, we cover the basics of HCC coding accuracy. This includes the methodology rules for the CMS-HCC model, the categories, and the diagnosis coding specificity that drives the reimbursement. We will discuss the basics of DRG methodology and our role as coders. We will include some of the updates for FY 2019 in this training. Your success as a coder will depend on the level of commitment that you make to achieve your pinnacle. Here are some tips to help you along the way, including critical thinking skills, becoming a student of medicine and the classification, and other things I’ve learned from my mentors over the years. A three-part webinar series will offer members an opportunity to learn how to analyze healthcare data using MS Excel, RStudio, anopen-source data analytics software platform and Tableau for data visualization. 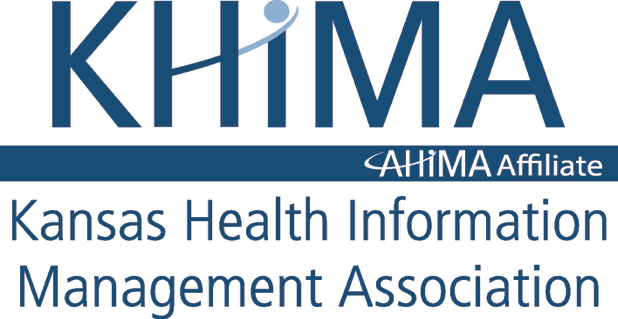 GHIMA | ICD-10-PCS: How Do I Code This? Join us as we discuss some areas in procedural coding where common errors have been identified. Attendees will gain useful clinical data on the prevalence, pathophysiology, etiology and manifestations of hypertension. An online course for new GHIMA board members. We no longer can divide healthcare organizations and physicians and payer – we are all entwined. See what you can do about HCCs in your organization. Understand the importance of identifying data patterns from the HIM professionals’ perspectives. This presentation will cover documentation elements needed to establish appropriate severity and DRGs. Applications and scenarios for reporting the new codes, as well as reimbursement potentials, from a Centers for Medicare and Medicaid Services perspective, will be addressed. A Healthcare professional shares direct experience with providing direction for how to transitions to a data – driven healthcare organization. This Ed'Venture is a quick quizlet for skill-building for ICD-10-CM and PCS for hospital inpatient coding. This is a 10 question quiz on OB/GYN and CCI Bundling Edits. IDHIMA | Coding Diabetes - Holiday Ed'Venture Gift! Read the article, “Coding Diabetes: Time to Look at the Coding Guidelines Again”, do the 5 “test yourself” questions, and get a free 0.5 CEU gift from your IdHIMA Board. IdHIMA | Coding Refresher: CPT The Nuts & Bolts of Basics FUN! Include the applications and analysis of quality and clinical resources appropriate to the clinical setting. Includes database management and coding compliance using CPT codes. This is an article from the AHIMA bok that has some wonderful information for long term care coders, and how to apply the guidelines for ICD-10cm correctly. In addition to the LTC guidelines, there is hands on 25 quiz after the article to work on skill building. Recognize the 335 changes in CPT for 2019, understand the rationale behind each change, and apply knowledge learned in day to day practice. Join us for this informative social media webinar presented by Leslie Hodz. This presentation provides an overview of how HCCs are used in physician payment systems. This presentation is designed to help the attendee develop and implement policies and procedures to assure compliance with applicable provisions of HIPPA and the HITECH Act and any implementing regulations. Sepsis 3 criteria for coding and CDI, and current pediatric and neonatal sepsis criteria. The presentation outlines the HIE framework in Michigan and reviews several current and developing use cases. This timely presentation delivers an update of the most important healthcare privacy and security rule / guidance regulatory changes, including but not limited to, HIPAA. The session also covers some evolving best practices that address these rule changes. MoHIMA | Why Do Breaches Continue to Succeed? Corporate breaches continue to succeed because attackers can steal the legitimate identities of your employees and use those identities to attack your infrastructure. Learn about the Medicare Risk Adjustment model. The course will explore key areas of operating an effective and efficient clinical documentation program, key areas of focus, and proving return on investment from a quality and revenue perspective. Behavioral health codes cover psychoses, organic brain conditions, nonpsychotic mental disorders, personality disorders, intellectual disabilities, and substance use, abuse, and dependence. The importance of coding the symptoms of stroke and disease comorbidities, The importance of NIHSS score and Coma Score, and Diagnosis help for coding site of the stroke. This presentation will address the Medicare payment changes in skilled nursing facilities effective 10/1/19. Review of Official Guidance, Resources, and practices to ensure compliant coding. The presenters will lay out the pros and cons of cloud computing, go into hidden costs involved with securing a cloud environment, and discuss some of the pitfalls from a regulatory and legal landscape and things that can be done to evade those issues. We will define revenue cycle management, discuss major functions of revenue cycle management, highlight the importance of revenue cycle management. Join us for an informational presentation geared towards collections and denials professionals to learn proven strategies for protecting revenue and minimizing cost to collect. An introduction to LTAC coding and an overview of how LTAC coding differs from inpatient acute care coding. This presentation will inspire HIM department leaders to analyze data from a variety of sources to generate information and knowledge. Discusses the analytical basis for developing a Population Health based solution to moderating healthcare costs and optimizing outcomes for a given population or sub-population. Learn how analytics, deception, and data streams are saving the security industry, or would have at least saved the Democratic National Committee. The health care industry is currently undergoing monumental changes in the U.S. Transition from utilization-based to outcomes-based payment structures has resulted in declining net revenue for many healthcare organizations. This intermediate level session covers changes to 42 CFR Part 2 from both March of 2017 and January 2018. These changes have an impact on the privacy and security of both federally funded programs and those entities possessing substance user disorder records. There are different types of diabetes, heart blocks, Multiple Endocrine Neoplasia (MEN), and fractures, but were you aware that there are different types of myocardial infarctions as well?